Can you imagine being inspired by a dog to achieve your dreams? 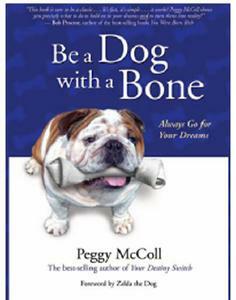 Be a Dog with a Bone is the dogma for success and the inside scoop to live your life by. This book creatively draws upon dog analogies to teach the most valuable human life lessons. It is a simple, unique, inspiring, and humorous book that reveals the profound truths and benefits of always going for your dreams.